Tinkercad is a web-based 3D design application. It's free and easy to use. I've been using it for years to design models for 3D printing. What I didn't know until recently is that Tinkercad also has a circuit design and simulation app, including an Arduino simulator. 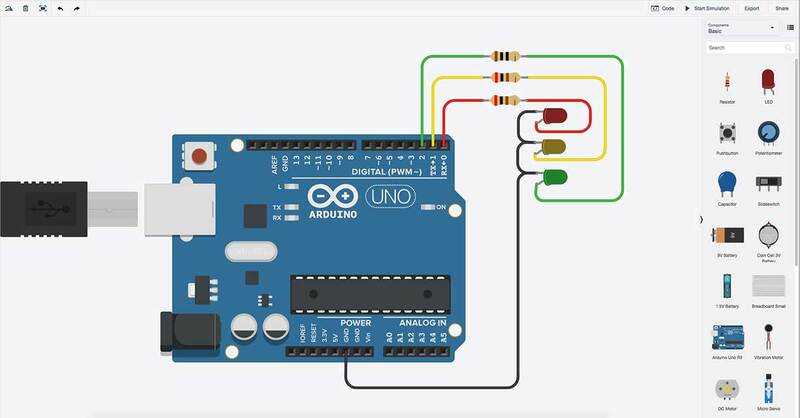 You can program the simulated Arduino with text or with Scratch-like drag-and-drop blocks. Here's the getting started page.